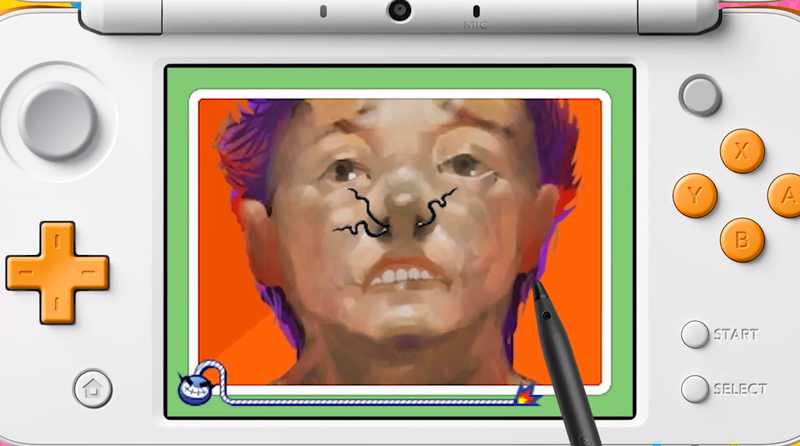 How on earth has it taken seven years for a WarioWare game to end up on the 3DS? If anything, a sweeping, deranged retrospective like WarioWare Gold shows this Swiss army knife of a device was tailor-made for the series. Nintendo has always used WarioWare as a testing ground for all the wacky input gimmicks it develops: Twisted! let them experiment with tilting, Touched! with touchscreens and microphones, Smooth Moves with the Wii’s motion controls. In each of those cases, the breadth and cleverness of the dozens of bite-sized micro-games the series’ designers cooked up showcased just how inventive creators could get with those technologies. And most of the time, no other games even came close to matching the personality and ingenuity WarioWare was able to wring out of them. Nintendo packed all of those technologies into the 3DS in one form or another, making it the only place where a compilation like WarioWare Gold is possible. (Sadly, there’s no room for the brilliant build-your-own micro-game tools of WarioWare D.I.Y.) These are two creations that belong together, and while the wait for another fix of that distinct WarioWare flavor was unfairly long, there’s something poetic and just plain right about Gold being one of the last major 3DS games. Released now, during what are seemingly the barren final days of the handheld’s long life, it gets to be a monument to both this little-handheld-that-could and to the series’ consistent brilliance. If you’ve played a WarioWare before, you know what to expect here. The meat of it is a story mode where Wario and his colorful friends put you through a bunch of micro-game gauntlets. Each tiny test lasts for a couple of seconds—during which you pick a nose or pluck an onion’s chin hairs or fumble through any of the other more-than-300 mundane and/or surreal scenarios—but the real challenge is wiring your brain to quickly recognize what the hell you’re looking at and what you’re expected to do. That befuddlement and panicked, split-second adaptation is the feeling that’s fueled WarioWare for 15 years, and it’s lost none of its nerve-flaying power. And actually, Gold finds a way to make things even more discombobulating. Past installments focused on a single input type, but since Gold includes games from each of them, its gnarliest mode, labeled “Ultra,” tosses you into an unholy jumble of button-, touch-, and tilt-based games. Even in the easier version, with a disembodied voice shouting the proper input at you before the merciless timer kicks in, this extra variable you’re forced to parse in a fraction of a second—not to mention the time it takes for your brain to warn your hands it’s time to tilt or brandish the stylus—takes the series’ signature freneticism to new heights. If you’re looking for an even more brutal ordeal, you can turn off those hints and go for it with nothing but your memory and wits. With WarioWare not really changing since its Game Boy Advance debut, Gold needed these kind of efforts to recontextualize the series’ formula, and Ultra mode is just the beginning. Its best ideas are outside the story, in the form of infinitely playable game types that frame the unique micro-game blitz in new, even more frantic ways—cranking the tension tighter with ticking clocks, letting you speed up or slow down the games at will, having Wario dress like an evil pope with a literal shitpot on his head and slap distractions on the screen. And in an effort to provide a little more incentive for sticking around and chasing high scores in all these various modes, there’s a generous mission system tying them together. 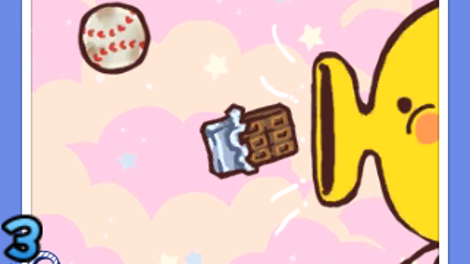 You’ll build up a bank full of coins from filling out your micro-game library and reaching score milestones, and in classic WarioWare style, you can cash those in to flesh out your collection of arcade games, rotary phones, and all sorts of odd digital toys. Despite its schedule of major releases slowing to a trickle, Nintendo insists the 3DS isn’t going anywhere any time soon, and for all we know, the company could introduce another portable machine to sit alongside the Switch as a cheaper option. But with that system selling as well as it has and finally merging Nintendo’s two hardware businesses together, it very much feels like its days of producing dedicated handhelds are ending. With the way Gold brings 15 years of WarioWare together and slathers them in new layers of weird, manic energy, it serves as a much-needed salute to this underrated, often genius series. More than that, it’s a fitting testament to the last 15 years of daring ideas and handheld consoles from Nintendo, an era that’s possibly coming to a close.